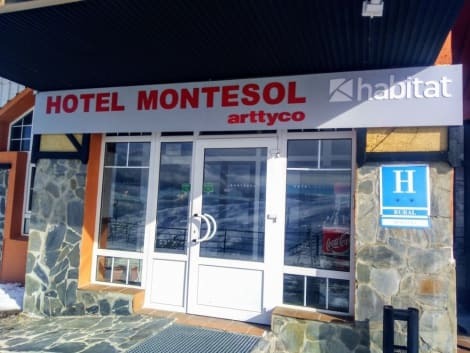 With a stay at Apartamentos Habitat Zona Alta in Monachil, you'll be a 5-minute walk from Sierra Nevada Ski Resort and within a 5-minute drive of Hoya de Pedraza Botanical Garden. This apartment is 21.7 mi (34.9 km) from Alhambra and 21.9 mi (35.2 km) from Generalife. The Hotel Telecabina is located at the Andalucia square, in the heart of Sierra Nevada, a few meters away from gondolas. It is the perfect choice closest to the slopes to stay with your family. The hotel has 47 rooms equipped with bath, telephone, satelite TV, hairdryer and safety box , TV, telephone and central heating. The Hotel has laundry service.